A partial view of the Chabahar port in Iran. India has already invested $500 million into the development of the Chabahar port as part of a network of new sea and rail routes. 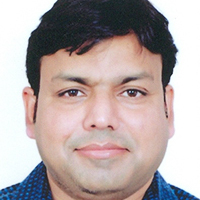 While China is aggressively pushing its ambitious Belt and Road Initiative to export its surplus capital and merchandise, India is slowly and steadily moving on an alternative network of sea and rail routes called the International North–South Transport Corridor (INSTC), in partnership with Russia and Iran. This ambitious project—if successfully implemented—could have a significant impact on businesses in the region, lowering transportation costs and boosting trade and commerce. However, it is not without its challenges. 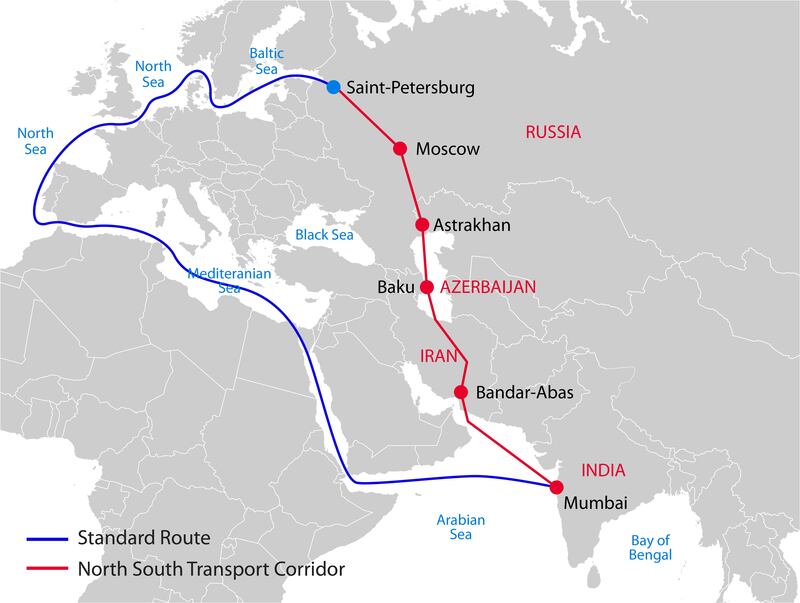 The 7,000-kilometer transport corridor will connect Iran, Azerbaijan and Russia along the Caspian Sea and provide a shorter and cheaper route for shipping merchandise to Russia and potentially to western European nations than the one in use today. What Is Driving India’s Push? Once operational, the INSTC will cut the time taken to move cargo along the traditional routes from 30 days to 20 days, according to an assessment by India’s Ministry of Commerce and Industry. 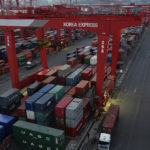 The substantially reduced shipment time and, in turn, reduced freight charges, will likely give a big boost to India’s economic engagement with the largely untapped Eurasian and Central Asian region by making trade more efficient and cost-effective for manufacturers and traders. The bilateral trade and investment relationship can get a further boost if India expedites its free-trade pact—which is currently under negotiation—with the Eurasian Economic Union. The EEU includes Armenia, Belarus, Kazakhstan, Kyrgyzstan and Russia, and has a combined GDP of over $4 trillion at purchasing power parity. Two-way trade, which at present stands at $11.9 billion (FY2017-18) according to India’s Department of Commerce, is far below potential and currently suffers from inefficient logistics and a series of tariff and nontariff barriers that need to be addressed. The INSTC and the India-EEU free-trade deal can provide the much-needed negotiating platforms to address economic barriers. 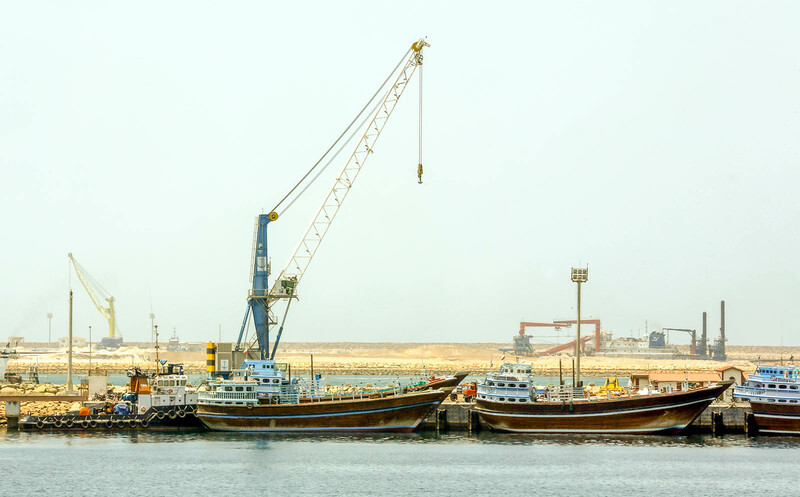 India has already invested $500 million in the development of the Chabahar port in the Persian Gulf and also has plans to invest an additional $16 billion in the Chabahar free-trade zone. It is also funding a rail project to link Chabahar to Zahedan on the Iranian border, which will further be extended to Zaranj in Afghanistan. Separately, India has already built the Zaranj-Delaram highway, which is connected to major cities in Afghanistan including Kabul, Herat and Kandahar. Therefore, the INSTC, along with the now partly functional Chabahar port and related transport links, will open up access to mineral-rich but landlocked Afghanistan and other central Asian republics such as Tajikistan, Turkmenistan and Uzbekistan, while bypassing a direct but virtually unavailable land route through Pakistan that doesn’t provide transit-trade facilities to India. 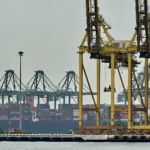 These infrastructural developments will also make it commercially lucrative to ship merchandise to the largely untapped Eurasian region—especially as traditional markets, including the EU and the U.S., are creating new protectionist trade barriers for competitively priced imports from emerging economies like India. Moreover, India can also use the INSTC to import oil and gas, fertilizers, minerals and metals from the Eurasian and central Asian countries in a cost-efficient manner. Chabahar is also an interesting and viable prospect for Iran. Its current main sea port, Bandar Abbas, which accounts for over 85 percent of its merchandise trade, is not a deep-sea port; large ships can’t dock there. Iran has to use Dubai as its major transshipment hub, which costs the nation millions of dollars and adds to the transaction costs for both exporters and importers. Political gamesmanship might undermine an ambitious trade and transportation initiative initiated by India. In contrast, Chabahar port is underused, but it is a deep-sea port. Thus, Iran would want to use it as its trade and transshipment hub like Dubai. It also makes strategic sense for Iran, as Chabahar is outside the Strait of Hormuz and provides direct access to the Indian Ocean. Even if the Hormuz is closed for Iran, Chabahar can continue to function. Thus, it reduces Iran’s vulnerability to international pressure, especially following the U.S.’s withdrawal from the nuclear deal. Chabahar also scores over Gwadar port in Pakistan, 72 kilometers to the east. Major commercial ports allow a draft depth of 20 meters so that cargo can be easily shifted from large ships to smaller ones. Gwadar, however, has a draft depth of less than 15 meters, limiting its commercial potential. Chabahar also has more berths—10, compared to Gwadar’s three—and another deep-water berth is under development for big oil tankers. All of this increases its potential for facilitating energy trade. The INSTC will also benefit other parties to the initiative. It can open up new routes for the transport of Russian gas—increasing Russia’s influence in the region from a geo-strategic perspective. Additionally, the initiative will generate transit fees for all countries through which the corridor route passes—and this will result in both direct and knock-on effects on their domestic economies as they will see growth in their industries and services. However, these projects may still face any number of problems. The U.S. administration’s recent U-turn on the Iran nuclear deal is perhaps the most important one. It creates further complications for investors and infrastructure companies, particularly when it comes to importing equipment for the development of projects or in terms of arranging financing. This could result in a slowing down of work on the infrastructure projects. Moreover, following U.S. withdrawal, Japan, too, appears reluctant to continue investing in the region despite Iranian assurance that, other than the U.S., everyone else is still on board. Additionally, there’s increasing pressure on India to stop buying oil from Iran, a country that needs to cooperate with India if the latter’s strategy around the Chabahar port project, the Chabahar-Zaranj-Delaram link and the INSTC are to work. It is clear that there are discernible economic benefits to all the countries involved and, indeed, to businesses in these economies. However, political gamesmanship in the region could yet trump the economic imperatives for greater cooperation. *The views expressed in this piece are the author’s personal views.